There has always been blues music in Kincardine… it’s a genre with a small core following in this area. Two local bands from the late 60s, The Breakwater Blues Band and The Dark Angel Blues Band, are still performing occasionally today. Two venues in particular, The Beach Pavilion and The Windsor Hotel (since torn down), were frequented by touring blues artists moving through Ontario between Toronto and Detroit or Chicago, such as James Cotton. In 2006 a blues society was formed, originally a chapter of the London based Canada South Blues Society but a year later, reconstituted as the independent Bruce County Blues Society, and today has approximately 175 members and presents touring blues artists at The Bruce and The Sutton Park Inn. In 2009, Rick and Marilyn Clarke, together with Brad and Craig Kirkconnell, sat down with Mike Brough and Rob MacLeod of The Coast FM, to plan for a two-day blues festival in the rear parking lot of The Bruce. The Coast FM was a natural title sponsor as it already supported blues music in the area, especially with its weekly blues show hosted by MacLeod since 2007. Unfortunately, before this major event could take place, the station was sold to MyFM Broadcasting. This only delayed the planning for a year though, and in 2010 the first Lighthouse Blues Festival was held July 9, 10. A key partner to the festival was Mike Manuel of The London Music Hall, who was contracted to provided full professional production services – lighting, staging, sound – and he did so, well below cost to help get the festival off the ground. 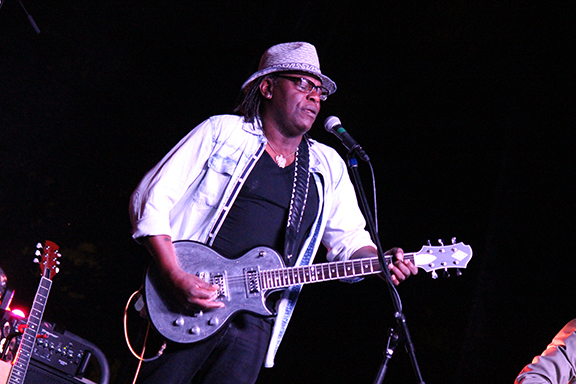 The Friday night featured performances by four local bands, including Breakwater Blues Band and Dark Angel Blues Band, and the following Saturday night was headlined by David Rotundo with supporting acts Chris Murphy Blues Band, Rick Taylor, Trevor Finlay Band and The Bluesbells. Two scheduled acts were cancelled at the last minute, Motor City Josh from Detroit was turned back at the border and Robin Banks was felled by a broken leg and couldn’t perform. Despite these last-minute challenges, enthusiasm for the inaugural Lighthouse Blues Festival was strong and planning for 2011 began almost immediately. In January 2011, the Lighthouse Blues Festival was incorporated as a legal not for profit organization with a Board of Directors to guide the planning and operations. 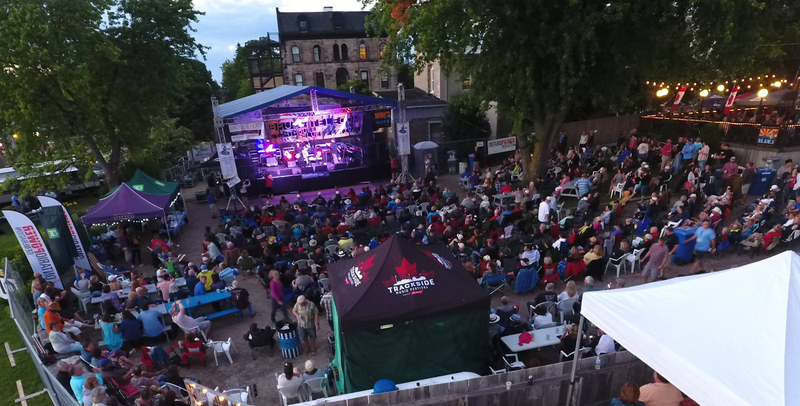 In the second year MyFM Radio returned as a generous title sponsor and the two-night mainstage event was expanded to include a free Saturday afternoon “Back Porch Stage” in Victoria Park featuring a mix of local artists and regional talent. In these first two years the Festival contributed $8000 to the new Davidson Centre. 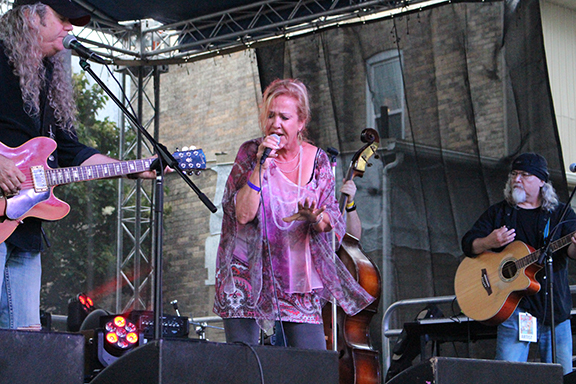 In 2012, Bruce Telecom came forward as the title sponsor and the festival took a major step to expand the free Saturday music offering (with the support of Kincardine BIA) to now include three performance stages in the downtown. The generous commitment of Bruce Telecom helped sustain the festival for future years and enabled it to expand its popular Saturday Street Festival. This partnership also had the added benefit of the participation of Bruce Telecom’s Marketing Department with promoting the festival. The ever-expanding library of performance videos on YouTube is one example. Every year the Bruce Telecom Lighthouse Blues Festival has continued to grow in audience and features to enhance the weekend experience. In 2013 a third day was added, staging a Sunday Morning Gospel Revival in Victoria Park that has been directed by local artist Raylene Rebryna. The Kincardine United Church graciously arranged the use of its facility in case of rain, something that was necessary in 2014! As a not for profit, the Board of Directors designated the Kincardine District Lions Club as its primary community partner and recipient for any profits from the festival. Over the next three years the Festival donated $30,000 for the new Lions Splash Pad at the Davidson Centre. In return, the Lions Club generously supplies the hard-working group of men and women volunteers over the three days that makes the whole weekend possible. Other community groups who have received donations include Big Brothers, Big Sisters of Kincardine, the Bruce Botanical Food Garden and the Blues in the Schools program of the Bruce County Blues Society. In just 10 years the Lighthouse Blues Festival has established itself as a premier destination music event in Ontario. With its beautiful lakeside venue overlooking Lake Huron beaches, Kincardine Harbour and iconic Lighthouse, the 1000 seat Main Stage on Friday and Saturday night provides an intimate, up close experience for fans of the international touring artists. The Main Stage line ups are supported by a free Saturday Street Festival with four performance stages, and added family fun such as a petting zoo, vintage British sportscar display, Artist Row, a Children’s Zone and retail street market. Sunday morning features a three-hour Gospel Revival in a park setting that has wide support from community church congregations. The Bruce Telecom Lighthouse Blues Festival may be small by comparison but has an enviable reputation with blues fans across eastern Canada and the US. 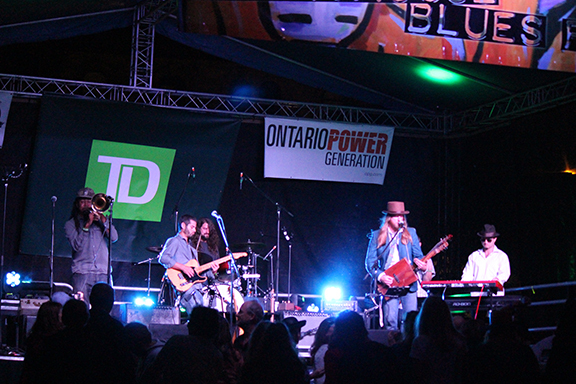 For the last 5 years the Bruce Telecom Lighthouse Blues Festival was awarded a Top 100 Festival and Event designation by Festival and Events Ontario. Many consider it a “boutique” blues festival that has presented outstanding artists like Victor Wainwright, Shemekia Copeland, Joe Louis Walker, Ghost Town Blues Band, Brandon Santini, Steve Strongman, Jack deKeyzer, Jeff Jensen, Cheryl Lescom, Layla Zoe, Dawn Tyler Watson, Angel Forrest, Bryan Lee and many, many more! Stan Street, noted artist and musician from Hambone Gallery, Clarksdale MS has been responsible for the official Festival art since 2011.